The implementation of the Competition Act in 1999 introduced an important shift in the South African competition law framework. The implementation of the Competition Act in 1999 introduced an important shift in the South African competition law framework. After 16 years, many still find the Act technical and difficult to apply. 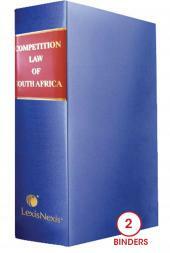 This book provides practical insights into the theoretical underpinnings of our competition legislation. 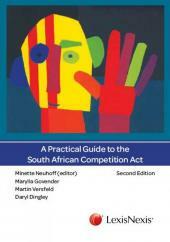 A Practical Guide to the South African Competition Act is a compendium of all the most frequently asked questions about the Act and the economics that underpin it, with lucid and helpful answers. Since the first edition, there have been a number of important changes to the law, the approach of the authorities to the economic analysis of cases and the consequences for contraventions. These developments as well as ground-breaking decisions and interventions on the part of our authorities are covered in the new edition. Is big always bad? The efficiency defence.